If your coloured hair distinctly fades out after the first wash, it most likely means you’re not using the right haircare products to maintain your kaleidoscope tresses. We sussed out 10 haircare products that do the trick of not only taming that mane, but also prolong the colour so that you can hair flip all day! 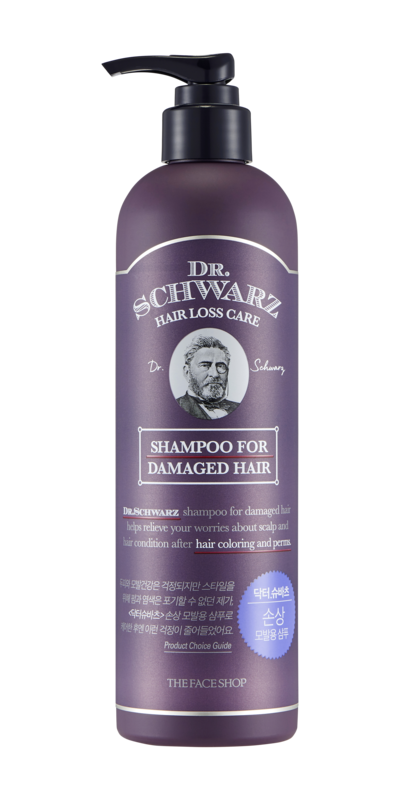 A Hair loss care line by The Face Shop, the Dr. Schwarz range of products are formulated with five natural-source ingredients like Polygonum, Phelliuns Linteus, Houttuynia Cordata, Dark Vinegar, and Mint to ensure an overall healthy scalp condition for healthy hair growth! For Coloured hair, use the Shampoo for Damaged Hair to restore dry, frizzy, coloured, and damaged hair to its voluminous and healthy state.